Top 5 Wordpress Plugins To Boost Your Website Traffic | GUI Tricks - In Touch With Tomorrow! 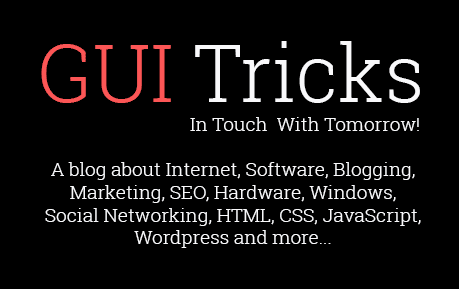 Top 5 Wordpress Plugins To Boost Your Website Traffic - GUI Tricks - In Touch With Tomorrow! Building a website today is easier than actually knowing how it is done. The basic layout of any website is quite predictable but what makes it stand apart from any other web presence, are web plugins. Web plugins are an integral and essential part of any website and installing them on your website has immense value for the owner. Web plugins are basic mini-programs that can be easily installed on your website. Doing this will add some effect of the same, on the functioning of your website. Depending on the functionality of a plugin, it might be available free of cost or at some value, for a premium version. Most of us do not know and understand the need for web plugins. As we all know, however, the internet is designed to work on the groundwork of some codes. Since all of us are no web developers and do not understand the system of coding at its deepest levels either, it is impossible for us to increase the functionality of our website on our own. This is where the role of plugins falls in. Their job is to improve the functioning of a website and offer a reliable user experience, without the need to delve into the coding aspect of such functionality. The use of plugins is pivotal in driving more traffic towards your website, since they improve the ranking of your website on a search engine, impact your earnings from your website and drive more subscriptions from users. Depending on the function of each plugin, your website could improve manifold and boost the resulting traffic on your website. Let us take a look at the top Word Press plugins today, which can help you reach your targets. The plugin which has been originally built by several social media marketing experts helps in driving more traffic to your website through increased social shares. As opposed to common conception, Social Warfare does not slow down your website or impact the appearance of your website negatively. This is one of the most common problems with most other social sharing plugins. For the best sharing experience in a beautiful manner, use Facebook, Google+, Twitter and other sharing options, use Social Warfare, which has added great functionality to most users. The plugin allows you to choose the top social networking options which you would like to include on your website and also choose where they show up. You can also showcase your most popular posts, based on the number of shares they have received. Do you feel that your old posts are of no use after some time? Then this is the plugin that you need to add to your website. This plugin literally keeps your old posts alive by sharing them automatically and driving traffic to your website through them. Once this plugin is set up on your website, you will never again have to worry about your old posts. With this plugin, you can maintain a custom sharing schedule, picking out the hours, days and blog posts that you want to be shared. This can also be attuned to different social media channels, depending on your sharing schedule. The plugin also allows you to customize your social shares and share your old blog posts to multiple accounts. Want to convert mere leads into actual customers and increase your sales? This popup software is the answer to your question. With dedicated email themes, countdown themes, exit popups, popup triggers, on click popups and much more, this little plugin can make all the difference and bring that much-needed change in your business journey. With this popup generator software, you can create perfect, sharp, visible and responsive popups, which will find a friendly place with your customers and make it more comfortable for them to engage. Aided by the Google Ads tool, this is an enhanced experience for people who need to advertise for building a new search network campaign. This plugin allows you to search for new keywords and also observe how each of them is expected to perform. At the same time, the plugin also allows you to choose from among various competitive bids and different budgets that you can work with, for your campaign. It has the relative benefit of accomplishing the task of searching for research keywords and obtaining historical statistics and traffic forecasts. It can be used by signing in to a Google account and using the plugin option. Understanding Word Press plugins might not be easy in one go but it is definitely possible to use them gradually and integrate them with the web design of your blog or your web pages. They can revamp the user experience that a person, visiting your page may derive and in turn, lead to a better web presence for you and your business. There are thousands of plugins available on the internet that you can use and experiment with. As long as you are sure that the plugin you are using is legit and comes from a trusted source, do not shy away from using it on your website. Chances are that it might be the only change that your web presence might be asking from you, from a very long time. As you include more plugins on your website, watch how it enhances the web speed of your page and delivers the best results. However, make sure that you do not overboard the bus since it might have some negative impacts on your web page too. Amy Bella is a freelance writer and an SEO expert. 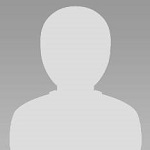 She can be reached at TopOnlineAssignmentServices. She loves sharing knowledge on various websites and online magazines. She is a part time e-learning consultant as well. In the past few years, she has helped many organizations on various projects.